I heard the rumour a couple of months ago that NOS Energy Drink/MAXXIS Tyres Formula-D driver Chris Forsberg was coming over to the UK to drift at some point later on this year. Having dismissed it as Chinese whispers I didn’t think any more of it until now. 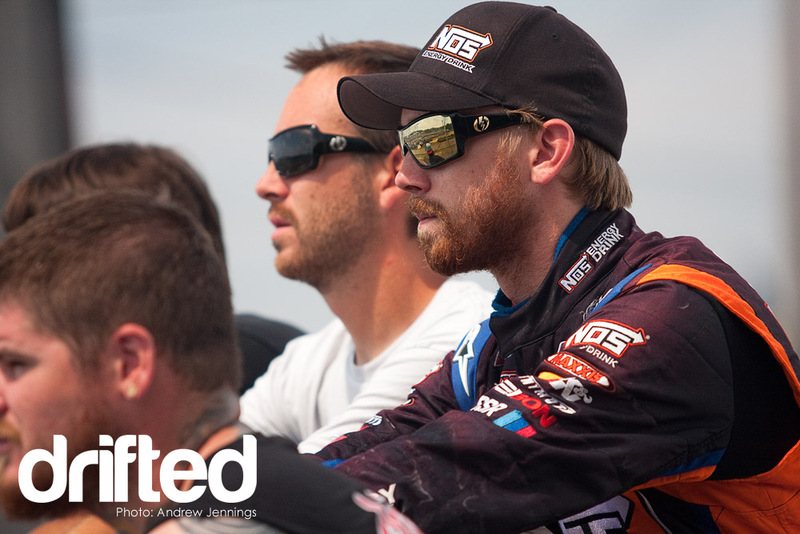 Drifted can now exclusively reveal that Chris will indeed be visiting these fair shores to smoke some Maxxis MA-Z1 Drift on the historic Silverstone circuit at this year’s TRAX and JDM All Stars Events. Sadly, I think the NOS Girls are staying Stateside. Maybe next year? World No.1 drift champion, Chris Forsberg’s UK debut at TRAX! The world’s number one drift driver, Chris Forsberg, is to star at TRAX – the UK’s most awe inspiring event for drivers and fans of performance cars – as he takes to the track at Silverstone for the first time ever, on Sunday 5th September. 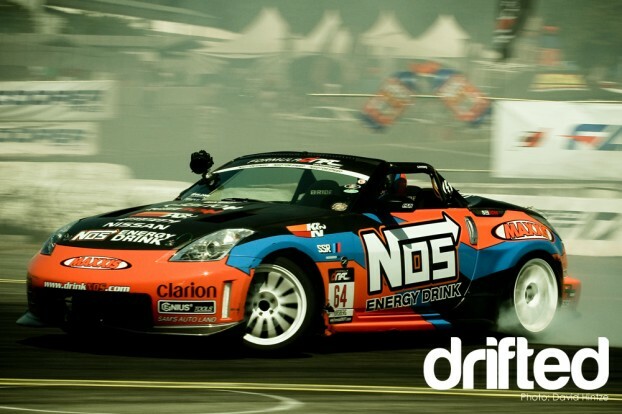 Forsberg is the 2009 Formula Drift Champion, and is currently ranked No.1 for the 2010 season. He is flying in from America especially to take part in TRAX where he aims to make a big impression on his first drive in the UK drift scene. Giving the crowds an unmissable spectacle, Forsberg will demonstrate his high-speed stunts in the TRAX Action Arena, as well as proving his skills out on the track alongside European drifters, the JDM Allstars. Eight lucky people will also have the chance to win a passenger ride with Forsberg, as he takes them out in the TRAX Action Arena for the trip of a lifetime, while fans will have the chance to meet him at the Redline stand – with a lucky few getting a signed copy of the magazine. The competition opens next week so keep checking back for details! That’s not all, the final of the JDM Allstars Triple Crown Series take place, plus Paul Swift’s precision driving skills, and you can even take your own car out on the new British Grand Prix Circuit recently battled over by the likes of Mark Webber, Lewis Hamilton and Jenson Button. No car? No problem! You’ll also be able to experience the thrill of the track by taking a passenger ride with Thorney Motorsport’s professional drivers or in a Lotus Exige driven by one of Silverstone’s very own race instructors. There will be special displays from the most impressive car clubs in the country, with over 4500 cars on display, as well as the all-new super-car paddock. Tickets cost £17 in advance, or £20 on the gate. Track time costs £30, with passenger tickets at just £10. Under 14’s free with an accompanying paying adult. Visit www.traxshows.co.uk to book now. Any guesses as to what car Chris will be piloting over here? Answers on a postcard.